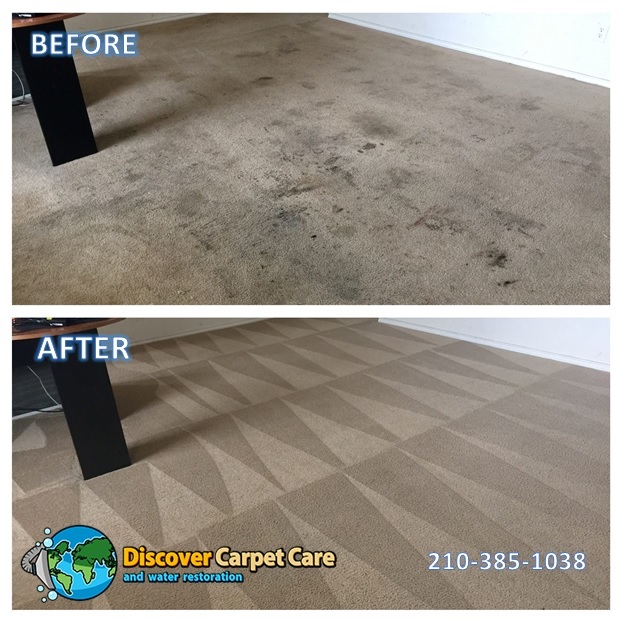 Discover Carpet Care, Carpet Cleaning San Antonio is a top-rated cleaning business providing carpet cleaning, tile and grout cleaning, upholstery cleaning, general floor cleaning, air duct cleaning, pressure washing, and more for the San Antonio TX area. If your carpets, floors, or furniture are suffering from staining, pet odors, or cigarette odor, we can help restore them to like-new condition. We opened in 2014 as a San Antonio carpet cleaning business with two things in mind: top of the line service and customer satisfaction. You deserve to have a clean home or business and your pockets shouldn’t suffer. For that reason we offer free estimates, reasonable rates, and multiple discounts. Call, email, or message us on Facebook for your free estimate and to find out why we’re Yelp’s top rated carpet cleaners in San Antonio TX. For more information about our San Antonio carpet cleaning services please scroll down or visit our frequently asked questions page. We encourage you to take a moment to visit our review page to see what our San Antonio carpet cleaning customers are saying. 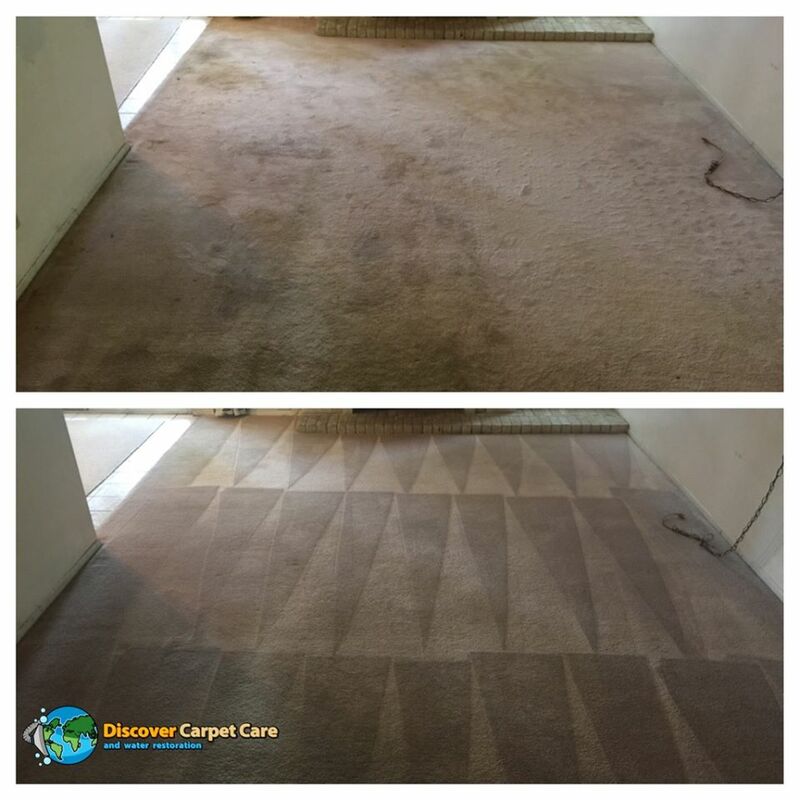 When you first contact Discover Carpet Care we will determine if we can offer you an accurate quote over the phone or if an in person estimate is necessary. We will begin by asking you about the number of areas of carpet you need cleaned and any issues the carpets are suffering from. Please be as detailed as possible when describing the condition of the carpet as this will allow us to ensure that you are receiving the most accurate estimate possible. During the initial consultation we encourage you to ask any questions you may have about our cleaning process and we will gladly do our best to answer them. When we arrive at your home or place of business the San Antonio carpet cleaning technician will introduce themselves and ask you to show them the areas that they will be cleaning. During the walk-through the technician will make note of stains and determine the best method for treatment. The technician may recommend treatments such as a pet enzyme or sub-floor carpet treatment. Please feel free to ask the carpet cleaning technician any questions you may have and discuss why they are recommending a specific treatment. The technician will place corner guards as necessary to protect furniture and edges from our hot water lines. If your home has wood floors the technician will also place tarps on the areas our hot water lines will be on to prevent the hot water lines from damaging the wood floor. If you have any furniture you are concerned about being damaged talk to the technician and we can attempt to place foam blocks under the furniture to raise it off the carpet to prevent it from getting wet. The technician will perform a pre-vacuum if necessary to help remove as much dirt and dust as possible. They will then spray the areas that are being cleaned with our all-purpose carpet cleaning solution to pre-condition to carpet for our steam cleaning process. In areas that have a significant amount of staining or discoloration the technician may use a carpet brush or buffer to help agitate the carpet fibers. Agitating the carpet fibers will help work our cleaning solution deep into the carpet and padding. Now that the carpet has been pre-conditioned the technician will perform spot treatments for specific types of stains and any necessary special treatments for issues such as pet accidents and smoke odors. At this point the technician will bring in the carpet wand and power up our advanced truck mounted carpet cleaning system. Our system can be a little loud but that’s only because it’s the most powerful piece of carpet cleaning equipment available in the industry. Our technician will thorough steam clean the carpet and ensure to perform multiple dry passes so that the carpet will dry as quickly as possible. If you would like speed drying in all the rooms, please let the technician know before he begins. 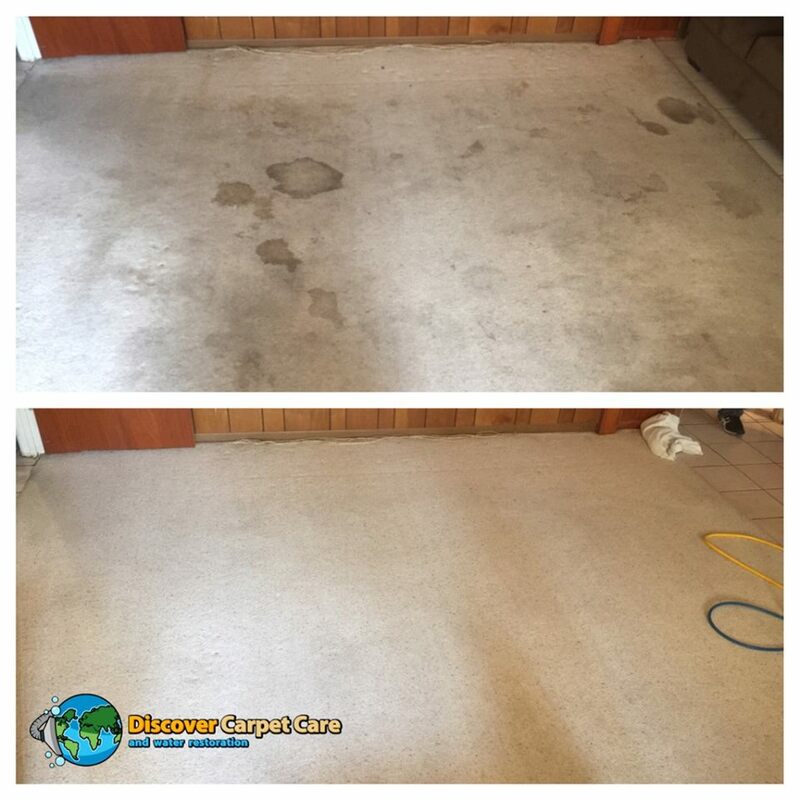 Our system guarantee’s your carpet has been properly rinsed and that there is absolutely no sticky residue. This means your carpet is left feeling clean and soft. Our technician will then inspect the cleaned areas and retreat spots that could use a little more attention. Upon completion the technician may ask you if you’d like him to add a mild deodorizer to the carpet. Once a room has been cleaned the technician may in some cases place speed drying fans in the room to help speed up the carpet drying process. When the technician goes to collect the fans, he will use a carpet grooming rake to ensure the carpet fibers stand up straight and can therefore dry evenly and quickly. Before the technician packs up their equipment they will go over the results with you and discuss any stains that weren’t able to be removed. We offer a 10 day satisfaction guarantee for our carpet cleaning in San Antonio TX. However, when our technician’s recommended treatment plan is declined the satisfaction guarantee may be voided. If you have any concerns after your appointment please contact our office.